MKH recognized as sponsor at Yellowstone Valley Animal Shelter's 10th Anniversary Gala - Matovich, Keller & Huso, P.C. 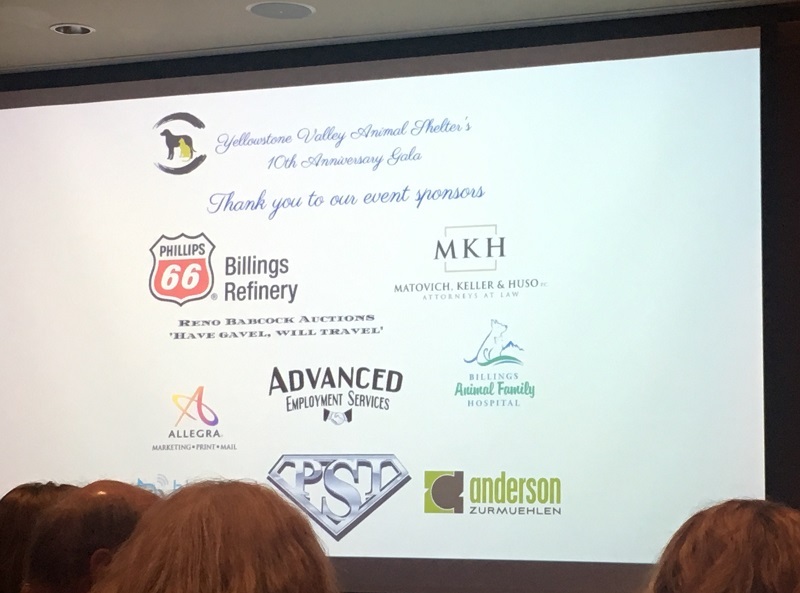 MKH recognized as sponsor at Yellowstone Valley Animal Shelter's 10th Anniversary Gala - Matovich, Keller & Huso, P.C. 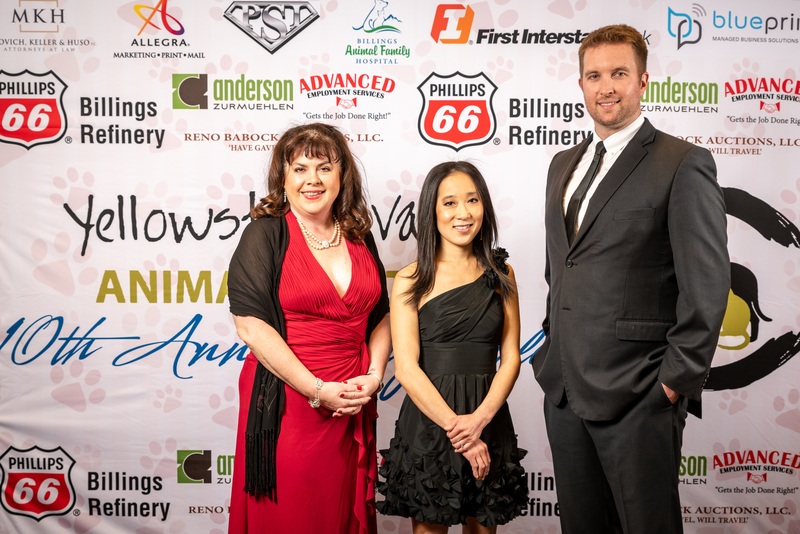 MKH sponsored a table at the Yellowstone Valley Animal Shelter 10th Anniversary Gala on March 23, 2019. YVAS provides animal care services for the City of Billings and is founded on the principle of community engagement with the goal of building partnerships to save lives. YVAS not only met, but exceeded its fundraising goal of $5,000.00 for scholarships for its Spay & Neuter Clinic held on April 27-28, 2019. YVAS will use the additional proceeds to continue supporting the shelter’s important work, including caring for lost, injured and homeless pets and educating the public about animal welfare.